I was sent an interesting link (thanks Rachel for the heads-up on Facebook!) which ties in very nicely with a post I was already in the throes of writing. 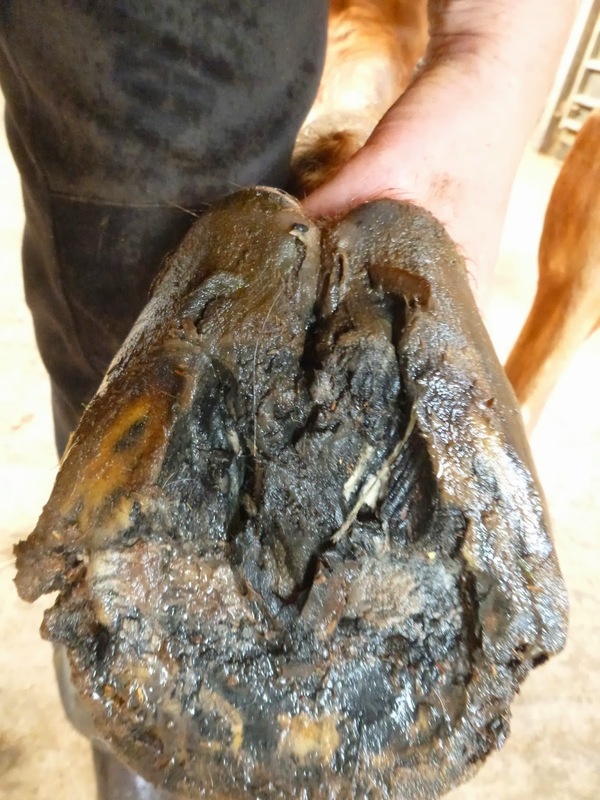 "Current treatment options for collapsed heels (e.g., gel packs, bar shoes) are often not as successful as farriers, veterinarians, and horse owners would like". So contrast these feet - the top one shod in wedges and pads. These are traditionally used to "support" the collapsed heel but, as the article comments, sometimes seem to perpetuate the problem. 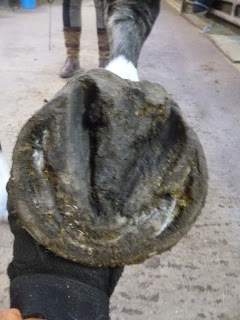 This is the same foot after a few weeks out of shoes (yes, its Dylan, for those who follow him!). The foot is still under-run, the heels are still collapsed BUT look at the heels and compare them and have a look at how the hairline is changing. There is actually more bulk in the lower photo and the collapse is less severe. Here is another horse who arrived here 2 days out of shoes which - again - had been intended to provide palmar hoof support following DDFT damage. The top photo clearly shows how collapsed both his heels and his digital cushion have become - the hairline is again the place to look and you can see it dips towards the frog. This photo, taken 10 weeks later, shows a much stronger and less collapsed heel. 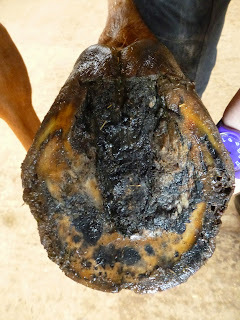 The hairline is straightening which means the frog and digital cushion are supporting the palmar hoof from within. Building internal strength is so much more effective in my opinion than propping something up from the outside. 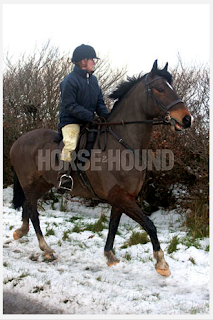 Here's another horse, this time with a medio-lateral imbalance as well as an under-run heel. 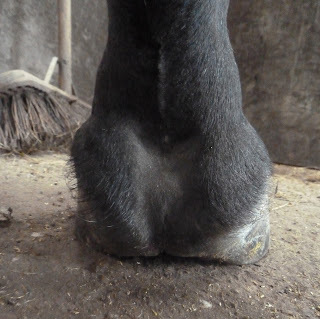 After a few months, much better hoof balance and better development of the heels, digital cushion and frog. 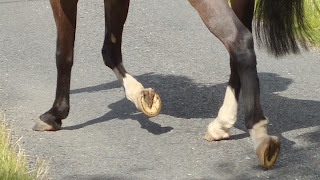 And finally one more - this time in bar shoes which were clearly failing to support the palmar hoof in any way. But give the horse the chance and she develops palmar hoof support of her own, far more effective and longer -lasting and with the added benefit of a more balanced foot. 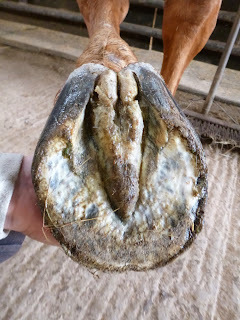 So if you want support for the palmar hoof, try asking the horse, rather than the shoe, to provide it. 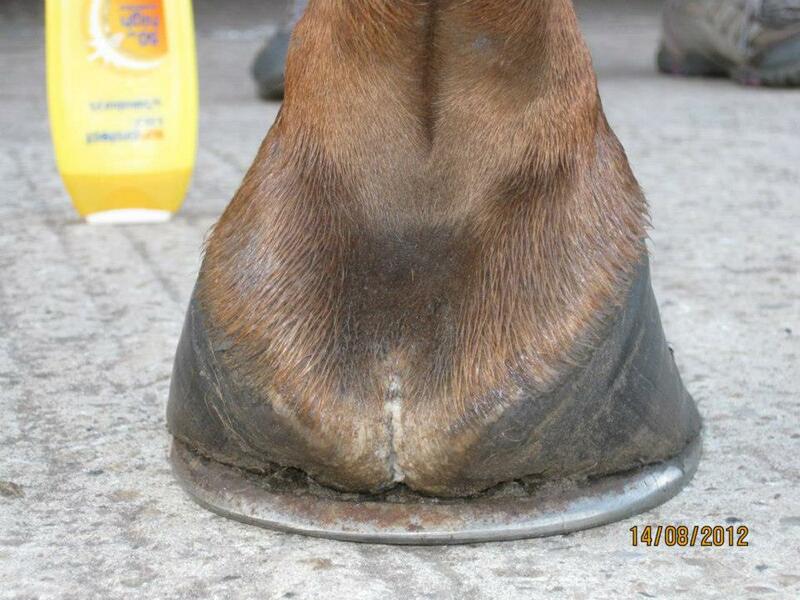 It will provide better shock absorption, last longer and allow for better hoof function. 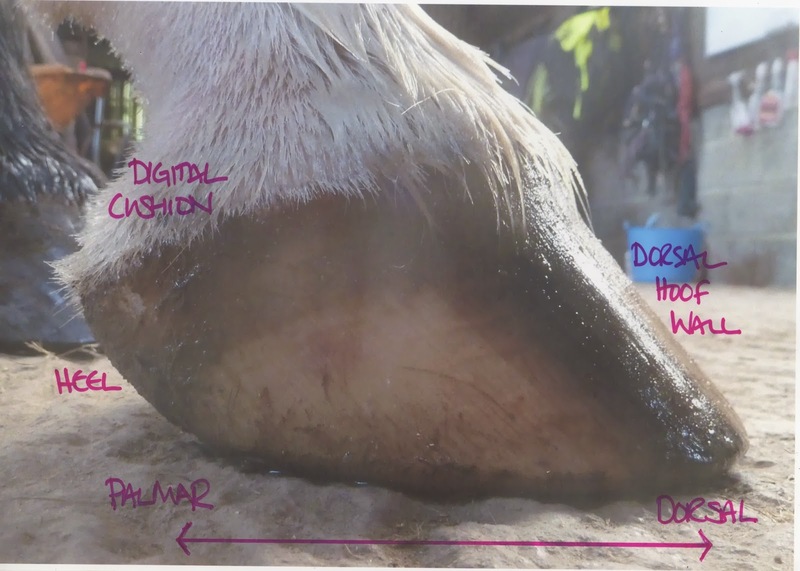 Important note - Heels: I should make it clear that although all these horses had much stronger palmar hooves after a few months working barefoot, that is NOT the same thing as having heel height. Here is a horse shod with a bar shoe for "support" and note the long hoof wall (focus on the distance from hairline to the shoe's surface). In the same foot a few weeks' later the length of the hoof wall is much shorter but the depth of the palmar hoof (heel, digital cushion and frog) is much greater. That's the difference between internal and external support. If you looked at any of the hooves pictured above from the sole view, they will look like this and there will be little or no heel height above the frog, a shorter length of hoof wall but much greater palmar hoof depth. I'm slowly working my way through the topics you asked about last week so here is a post about roadwork. 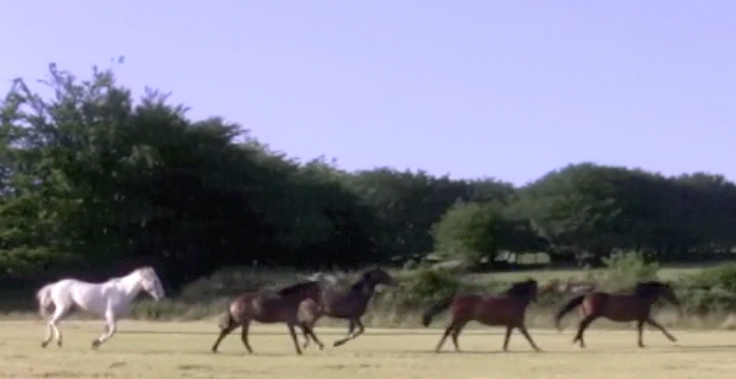 Essentially, the myth was that feet would simply wear away with road mileage; this would be a big problem if it were true as most horses in the UK at least need to be able to cover some distance on roads as part of their normal exercise routine. Of course people ride on fields, tracks and bridleways as well but these are usually linked by roads so road mileage is essential. 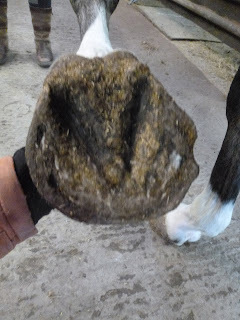 I suspect the myth about feet wearing away came about because shod horses tend to have long hoof wall; if they lose a shoe and are out on a hard surface it quickly chips away until the hoof has the much shorter hoof wall typical of a hard-working barefoot horse. 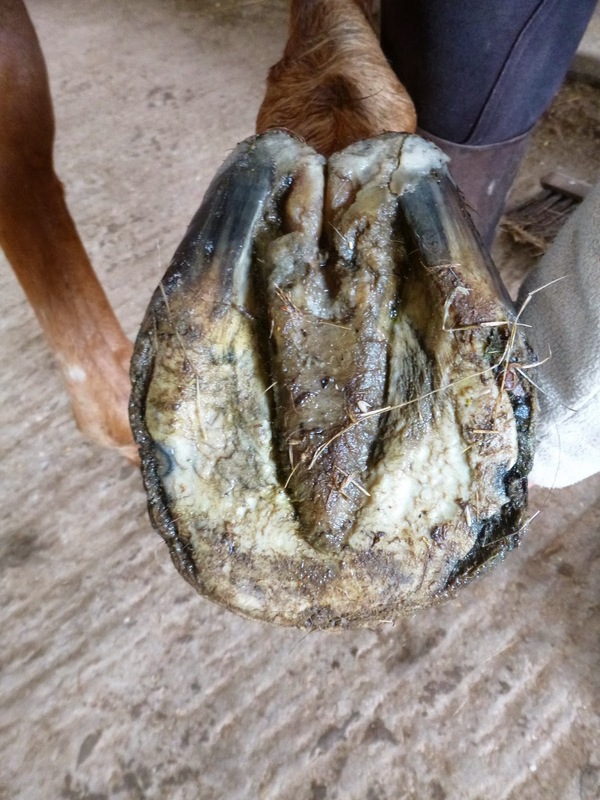 That's not usually a problem for the horse but it does make replacing the shoe more difficult and you can understand how it would seem - to someone who had never seen a really healthy hoof - that if the horse carried on with roadwork it would simply continue to wear away. 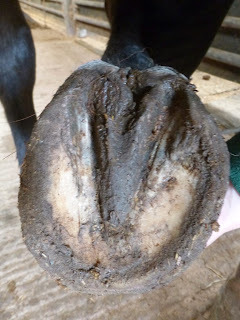 In fact, of course, hooves adapt to wear by growing faster so roadwork - or any work on an abrasive surface - is a fantastic way of encouraging good growth...BUT there is an important caveat. 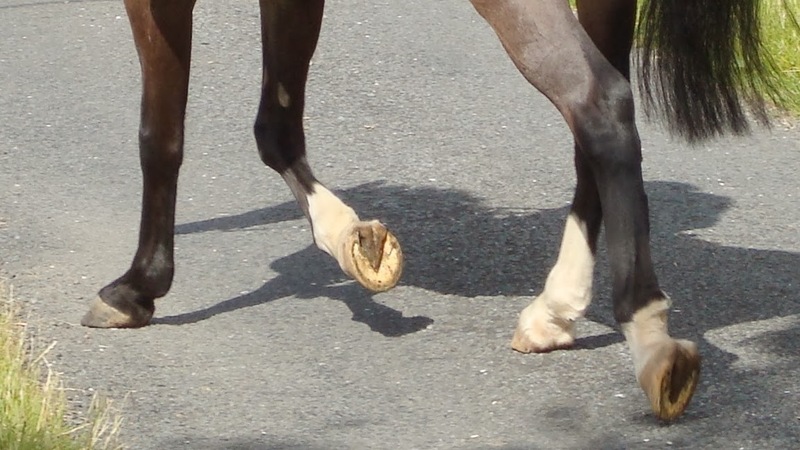 a horse landing toe first is much more likely to trip or stumble - and that's bad enough without it happening on a road. However, once a horse has a good landing roadwork is an excellent way to strengthen and maintain the frog, digital cushion and whole palmar hoof - in fact its an extremely important part of the rehab horses' exercise programmes both here and when they go home. You can click on it to get a larger version on your screen. On this photo, medial is on the right and lateral on the left as its a sole shot of a left front foot (you can see the other leg in the bottom RH corner) but of course if the photo were a sole shot of a RF these would be reversed. 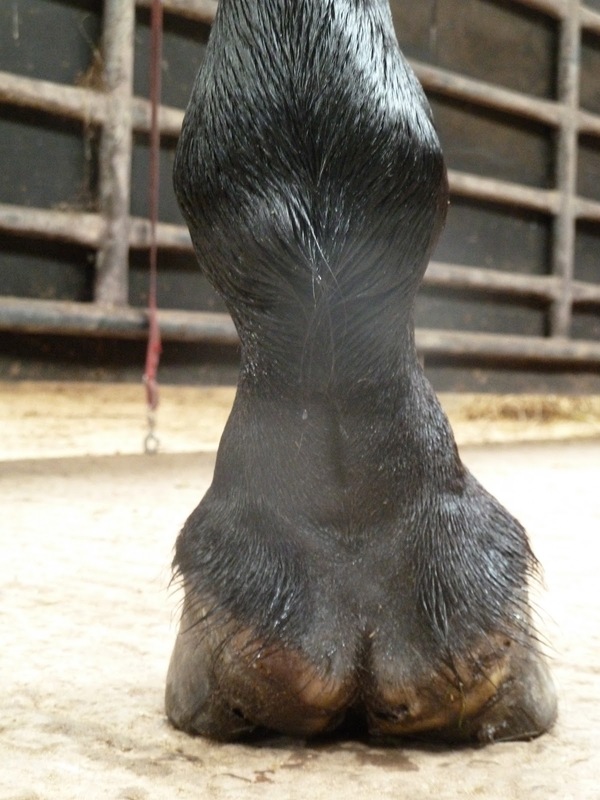 When describing a front foot, palmar means towards the back, dorsal towards the front. 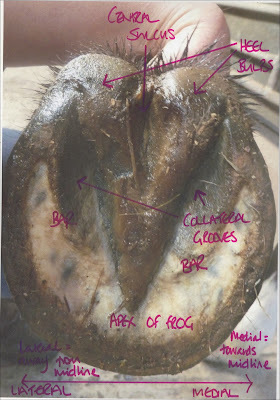 Sometimes the term "caudal" (towards the tail) is also used to describe the back of the foot but technically "caudal" should be used for the body, not the feet (the opposite of caudal is cranial - towards the head). Just to add to the confusion, things change again with hind feet where the term "plantar" is used instead of "palmar"...Clear as mud! ...to put up the glossary of terms which you were asking for last week...very busy weekend and even busier day yesterday plus software glitches are frustrating this at the moment but maybe it will come together later...! New girl Brigitte arrived at the weekend, a Dutch horse who has been on box rest off and on, and had multiple conventional therapies, over the last 18 months in an attempt to improve her lameness. She came out of shoes about 20 weeks before coming here and her feet have changed but only slowly since she hasn't been moving around much. The big ridge of bar you can see extending round her frog in this shot is always a sign of an unstable foot. On the lateral view she is landing clearly toe first and has under-run heels as you would expect. Both feet have decent frogs but weak soles so it will be interesting to see what happens to her feet over the next few weeks. More on Brigitte soon. I've posted before about Candy, who was with us more than a year ago now. 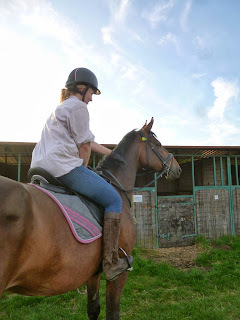 She had lots of things against her when she arrived, not least a gloomy prognosis following her MRI (which showed navicular bone damage as well as DDFT and impar ligament damage). 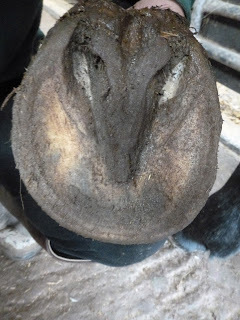 Added to that, though she had already come out of shoes when she arrived, she was very lame following an poorly judged trim by a hoofcare professional. 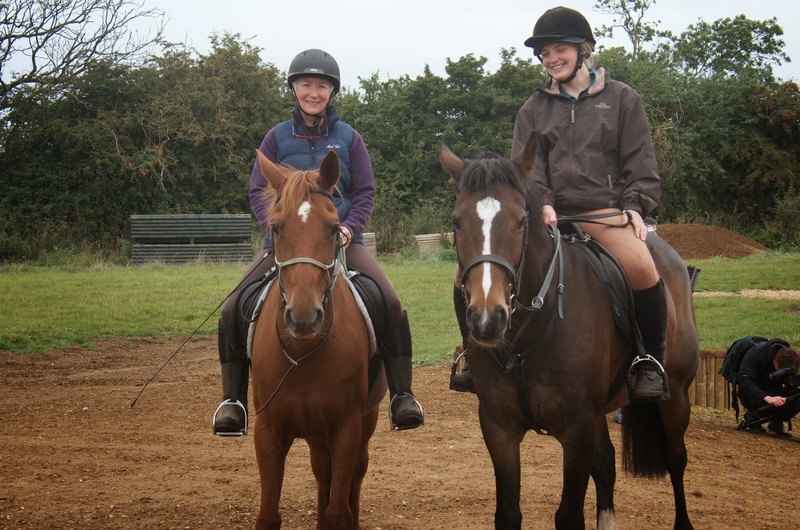 She improved steadily over the 12 weeks she was here but went home still with weak feet which needed lots of additional time and mileage and Candy, Hannah and Doreen worked incredibly hard on those feet over the next few months, come hail, rain, snow or sun! By the time of the RRR 2013 she was on fine form indeed and I think surprised even Hannah with her high-performance feet. "Here's an update to add to your rehabs getting out and about tally. She goes from strength to strength, with continuing improvements to her feet: definite heel landings, increasing concavity, strengthening digital cushions! It took so long, it would have been easy to give up without your sane 'keep on keeping on' message." After a fantastic response to my request for questions and comments yesterday I thought I would start with the easiest one to answer - which is what I feed. 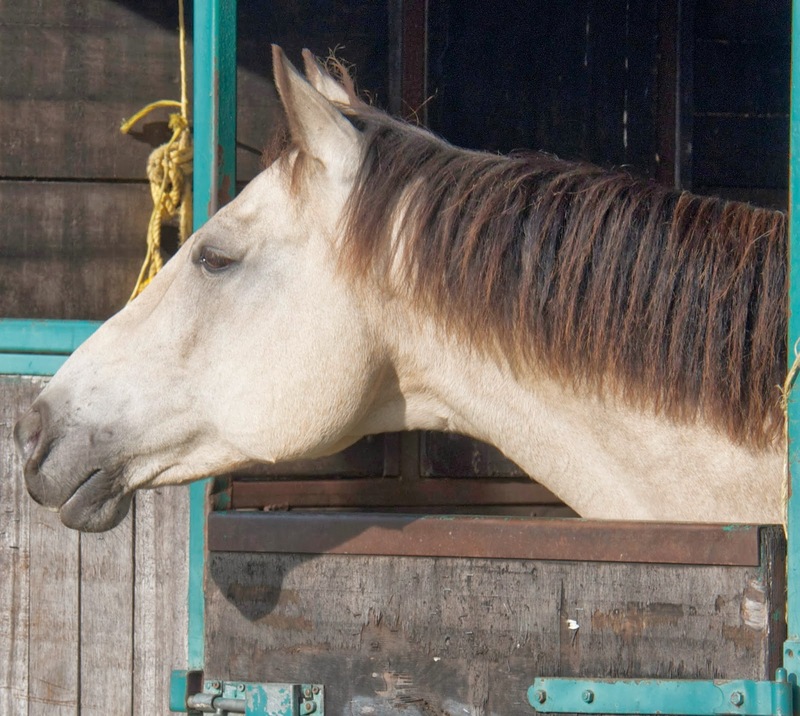 Of course by far the biggest component of the horses' diet is forage - either the grass in our fields or the haylage we make every summer (for those who aren't used to the idea of haylage, an explanation of what it is and how it differs from hay is here: http://rockleyfarm.blogspot.co.uk/2011/11/all-about-hay-and-haylage.html). During spring and summer the horses are turned out overnight and are on the tracks, with ad lib haylage, during the day; during the winter they spend more time on the tracks and therefore more of their diet is haylage though they get some grazing as well. 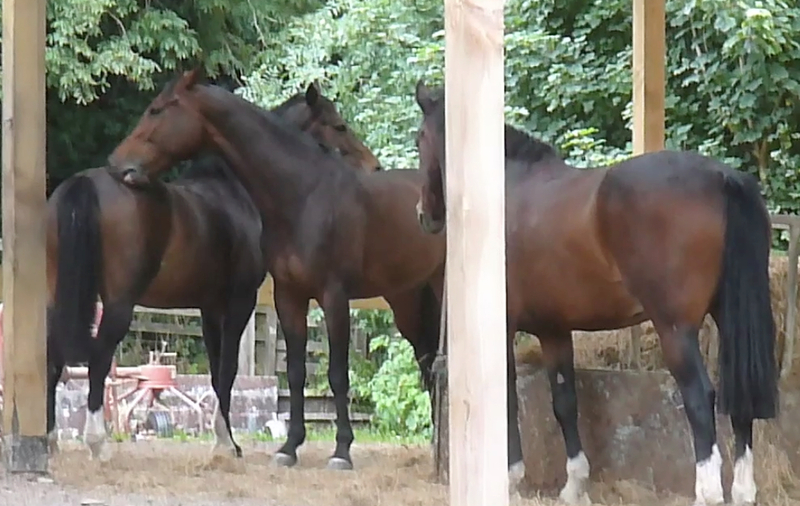 I like them always to have ad lib forage - it keeps them all settled and even horses who normally bolt down their hay-nets tend to slow down and relax once they realise there will always be forage available. 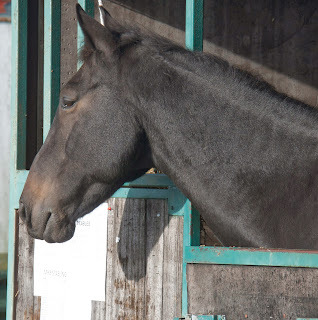 We use 5 or 6 different feeders and as well as having enough to ensure each horse can eat peacefully, its also important to give some thought to where they are located. 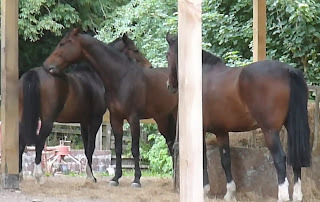 For instance, when there is a strong east wind the horses won't use the feeders on the eastern side of the tracks so the other feeders need to be replenished more frequently. We are fortunate to have relatively "safe" grass as its organic permanent pasture with a good range of different types of grasses and plants. Most horses can cope with turnout here, as long as its not when sugar levels are at their highest (hence the restrictions on their grazing in spring and summer), but do always be suspicious of your grass if you have a footy horse - its easily the number 1 cause of sole sensitivity in my experience. The next most important element of their diet is minerals. Of course much of what they need is already found in their forage but all the horses here - even good doers who need no additional calories or protein - are at least given a daily a mineral supplement containing additional salt, magnesium, copper, zinc and selenium - plus micronised linseed and brewers' yeast to make things more palatable. If they need no additional hard feed, they just have this in a small feed of unmollassed sugar beet. 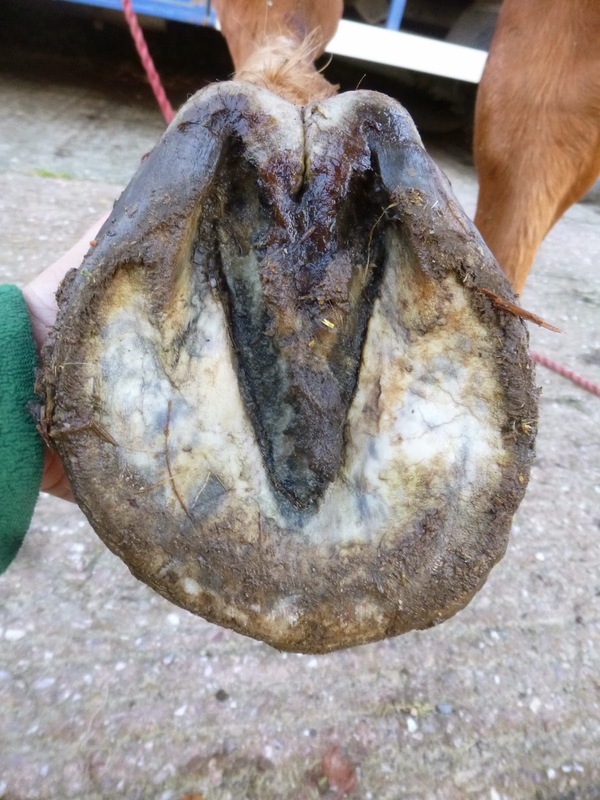 These minerals are commonly lacking in UK forage at the levels needed for optimum horse and hoof health and so in most areas its important to add them. Here, we know what our forage is low in and can balance to that but if you don't know or source forage from different places its still worth feeding extra. Most commercial supplements aren't high enough in these minerals but Progressive Earth are a great company who sell 2 supplements which both do the job - Pro Hoof and Pro Balance. You can find their products here as well as the link to their Ebay shop: https://www.facebook.com/progressive.earth - plus their customer service is second to none so I can't recommend them highly enough! 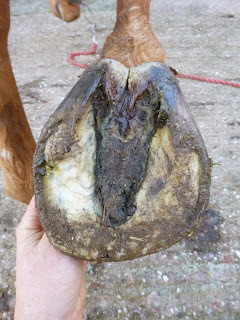 Once forage and minerals are sorted, that is often all that is needed for horses in light work or who are good doers. 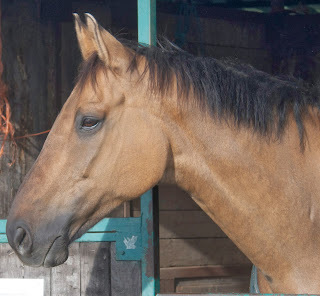 For the horses in hard work or who need additional calories and protein - perhaps because they are lacking in muscle following a period out of work - I add alfalfa pellets, crushed oats and Coolstance copra meal. The alfalfa pellets (which are available from Dengie) are infinitely preferable to alfalfa chop as they are much less likely to make horses footy. Even so, in areas where forage is high in calcium it may be safer to avoid them. They are a good source of protein but are high in iron and calcium so use with care. Crushed oats are a good source of additional energy - contrary to the old wives' tales, they don't blow horses' minds, at least not that I've ever seen here. Cereals generally are something to avoid but oats are the highest in fibre and lowest in starch and so are a better bet than barley, wheat or maize. 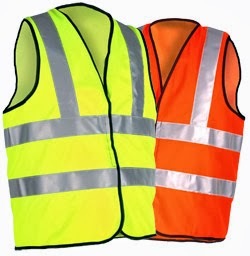 They are also readily available, cost effective and horses love them! Coolstance is a good, though expensive, feed for really hard-working horses. Its high in protein, has a very good range of amino acids compared to most horse feeds and is also low in starch. Its relatively high in oil and provides slow-release energy which is ideal for our horses when they are hunting. Hope that's useful, and now I'll start working my way through the rest of the questions! 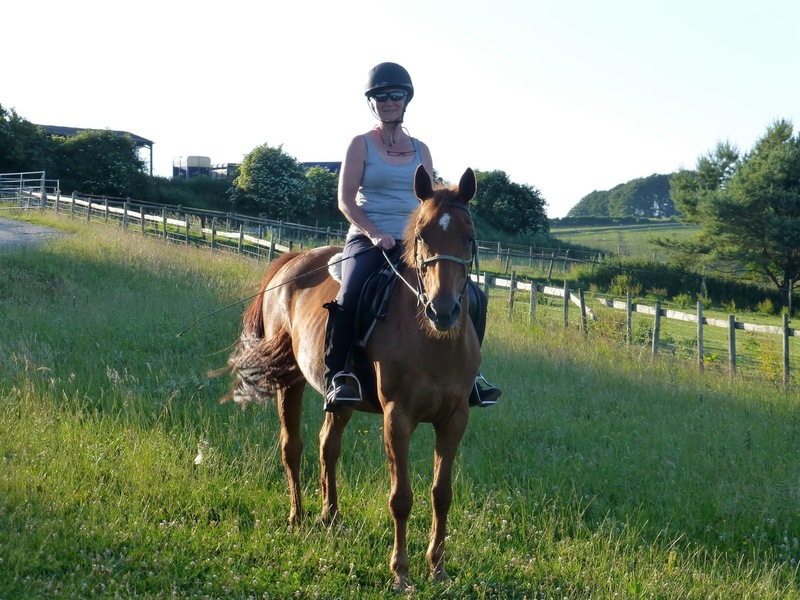 I've mostly caught up with updates on the rehab horses and while there is always stuff to blog, I wanted to throw it open and ask you what you'd like to see here. This is a post about looking backwards as well as forwards. 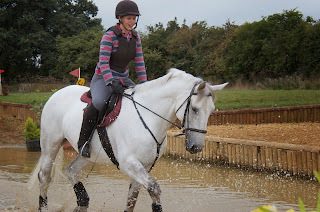 I'd forgotten that its exactly a year since Krista's horse, Buddy, arrived at Rockley. Each year, the time seems to fly faster and faster (I loved a quote I heard on QI when Stephen Fry described a 90 yr old relation who used to exclaim "No, it can't be breakfast time again already...") and its important now and again to stop and take stock. While horses are here, and often for the 3-4 months after they are home, their rehab is still a progression of "2 steps forward, 1 step back"; both owners and I frequently have sleepless nights not only as the horses make progress (or have occasional setbacks) but also as their owners get to grips with the nitty-gritty (and ups and downs) of having their horses back home: sorting out their feeding regime, managing their grazing, building their own and their horse's confidence and coping with more or less supportive yard owners, farriers and friends. 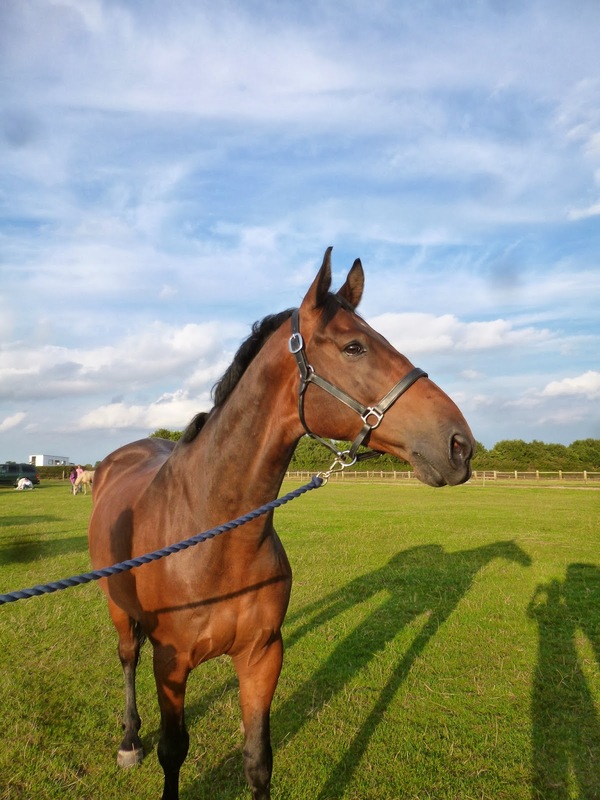 Its once you get a full year under your belt that you can sit back and begin to relax - you've found a way of dealing with spring grass, you've probably started doing fast work or competing again and the novelty of having a horse with no shoes will definitely have worn off. This is the time not just to start making plans for the year ahead but to look back at how far you've come. When Buddy went home he had - like most horses - only grown in about half a new hoof capsule and though his landing and soundness had improved dramatically, he was far less capable over tough surfaces than he is today. This of course is one of the joys of the RRR, because seeing horses 1, 2, 3 or more years down the line and just getting better and better is what makes it all worthwhile. We found a great song at the RRR - I've just been waiting for a chance to use it and this must be the perfect time! So, happy anniversary to Buddy and Krista and lets hope you have many more happy years. 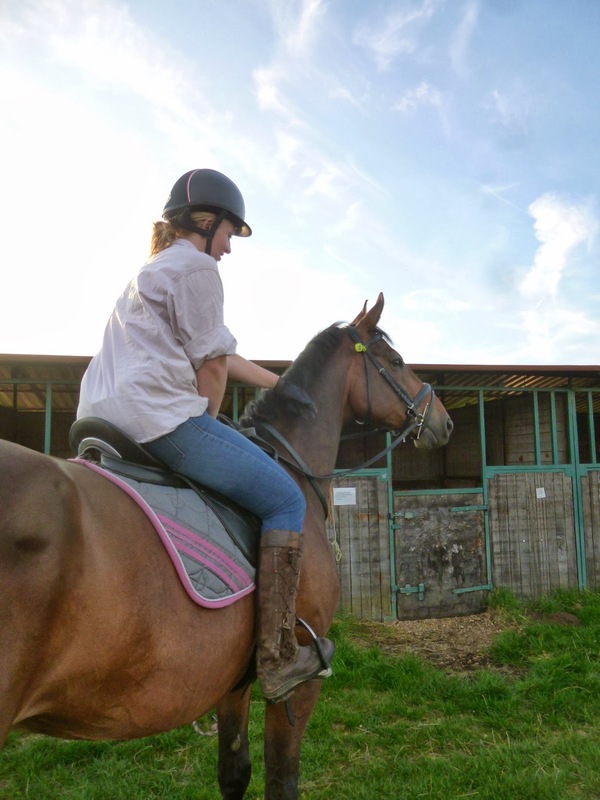 Dylan has been here 8 weeks and its more than time for his update. He had amazed me and his owner with how well he had progressed out of shoes in his first few weeks but of course the rehab road is never a smooth, upward curve and poor Dylan had a setback last week with a badly bruised hind foot. However, he he has been well and truly back on track this week and its pleasing to see how much his feet have changed. Day 1 is above and his recent photos are below. There is so much to like about this photo, not just the shorter toe (which has been achieved by Dylan on his own with no trimming required) and the lack of nail-holes but more importantly the more supportive heel and digital cushion, both less under-run than they were in his bar shoe and wedge - like Trooper on Monday, begging the question of how much "support" these remedial shoes were in fact providing. ...and this is him at 8 weeks. 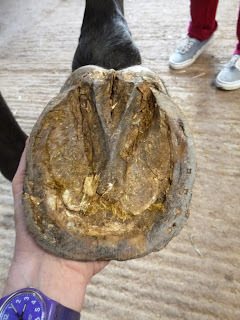 Still a terribly weak palmar hoof but you can see that he is trying his best to make changes and build it up. Here's his LF, again still weak and under-run but much less so than before and the other nice thing is that the hairline is much more even and less crushed at the digital cushion. Again, great work by Dylan to improve his heels and frog so though he has a lot still to do it should be onwards and upwards over the next few weeks. Just adding Isla's footage which I didn't manage to get last week. Her photos are here: http://rockleyfarm.blogspot.co.uk/2013/11/islas-nearly-7-week-update.html for reference. Its also Arnold's update. He has been here for 9 weeks and has made some good changes. This is a foot which is re-orientating. When he arrived he had contracted heels and you can see that the widest part of his foot was near the apex of his frog. Today the back third of his foot is more substantial and the widest point is moving further back, a good sign that his palmar hoof is becoming stronger. There is still more improvement to come, of course. 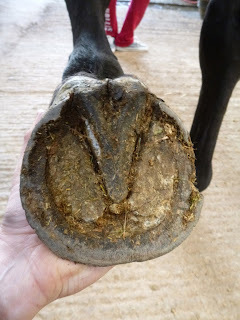 Excuse the mud, but you can see that his toe is shorter and the digital cushion is building up. You can also see the new angle of growth in the top third of his foot in the lower photo. This wasn't his lamest foot but he has been slower to change the landing on this foot. However, he is now making good changes to the palmar hoof and again the widest part is moving back, indicating a more supportive hoof capsule. A clear difference in the digital cushion at the back of the foot and a shorter toe with again a clear angle of new growth. The contrast between the old and new growth makes his foot look a bit odd at the moment but if you imagine the whole foot grown in at the new angles I hope you can see how much stronger it will be. Here is his footage to give you a better picture of how his feet are changing. A bit manic here as you can tell, as it was sunny yesterday so Edward and I were catching up on filming with the result that I have way too much to upload now...!